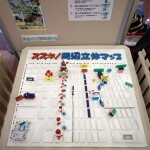 The Susukino Green Hotel where we are staying has a neat map of the Yoki Matsuri configuration. 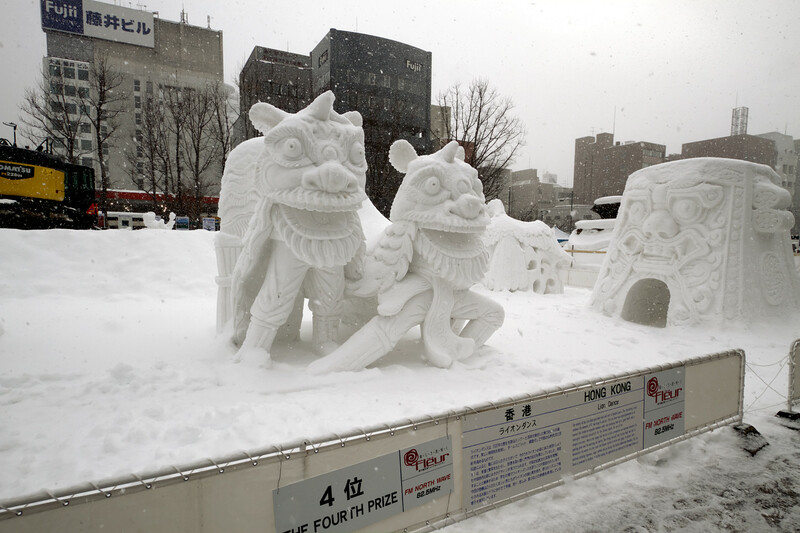 The line of snow men down the middle mark the main Yuki Matsuri location. 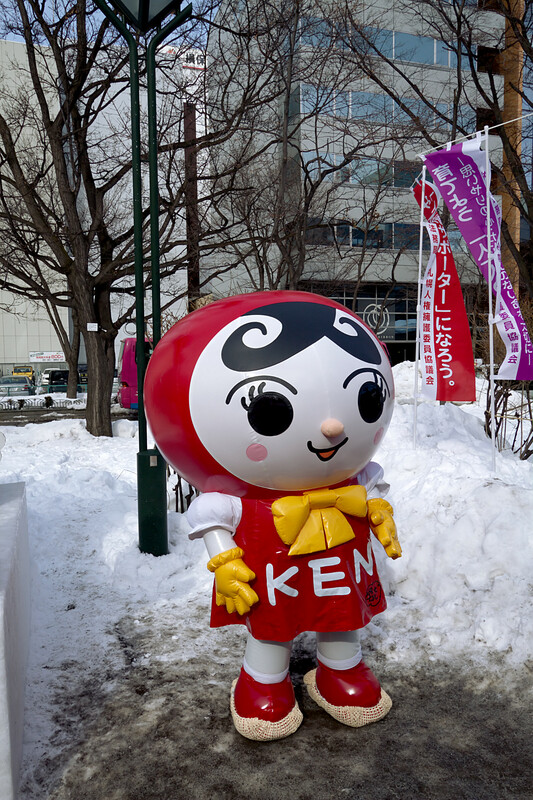 The little signs spell out ゆきまつり会場 yuki matsuri kaijou, literally Yuki Matsuri grounds. 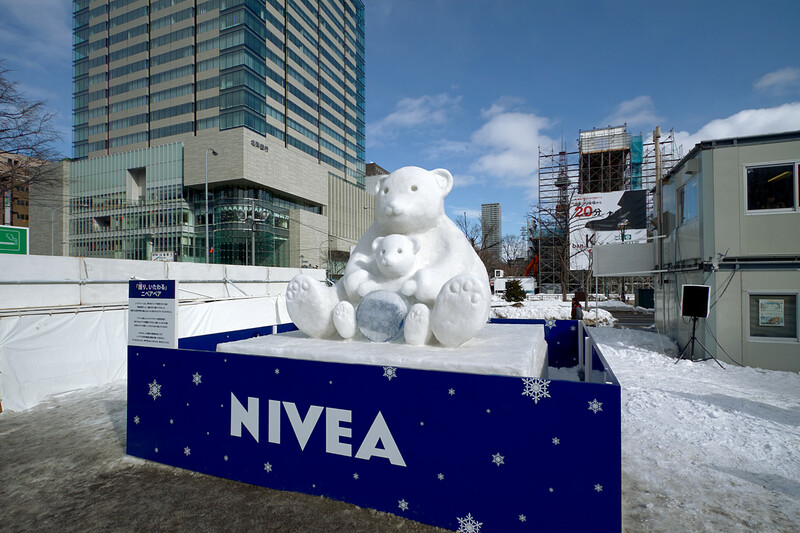 The big tower corresponds to the Sapporo TV tower in Odori Park. 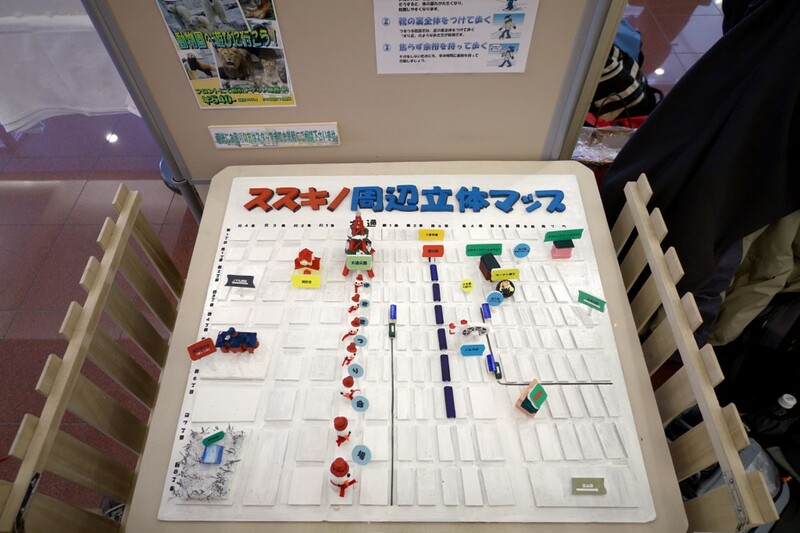 The angled red and green sign on the right-hand side says 現在地 genzaichi, literally “current location,” the Japanese equivalent of “you are here.” The blue roofs indicate a long covered shopping mall. 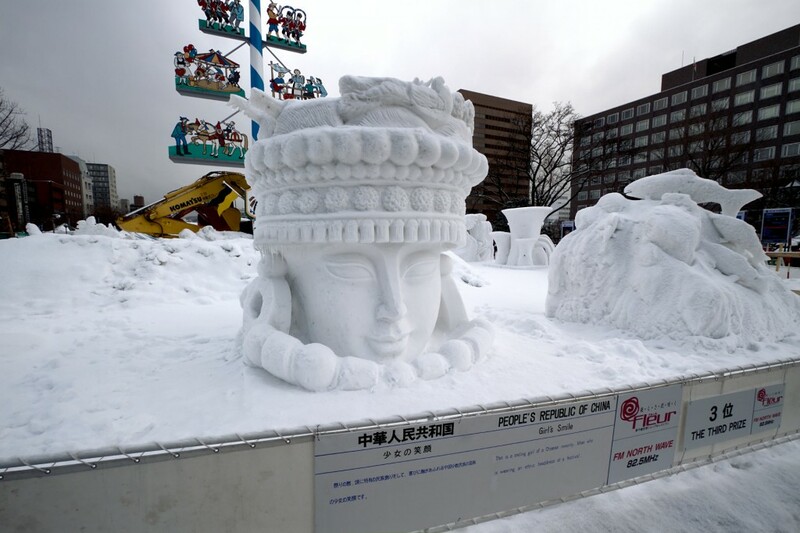 Unfortunatley, we arrived near the end of the festival, so quite a few of the sculptures had been damaged by the snow and wind. 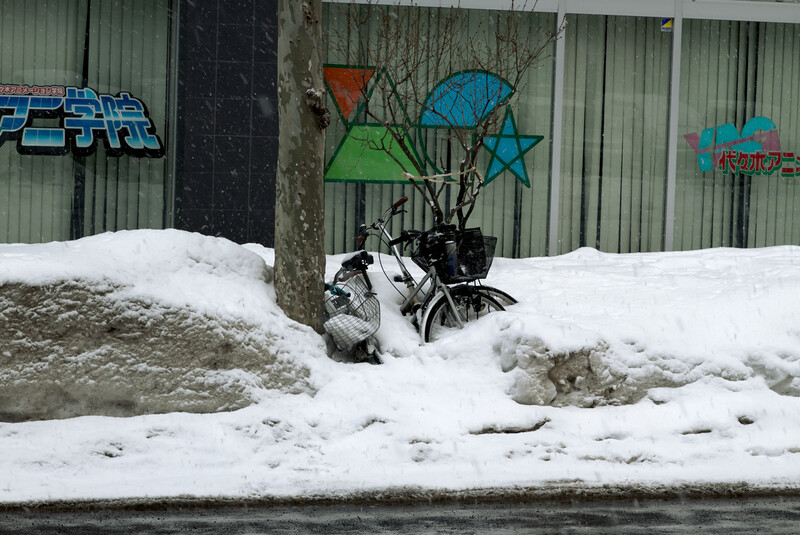 Some fared much better than others. 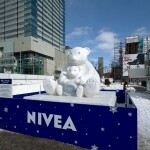 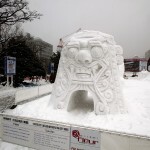 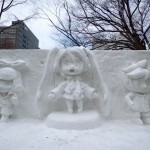 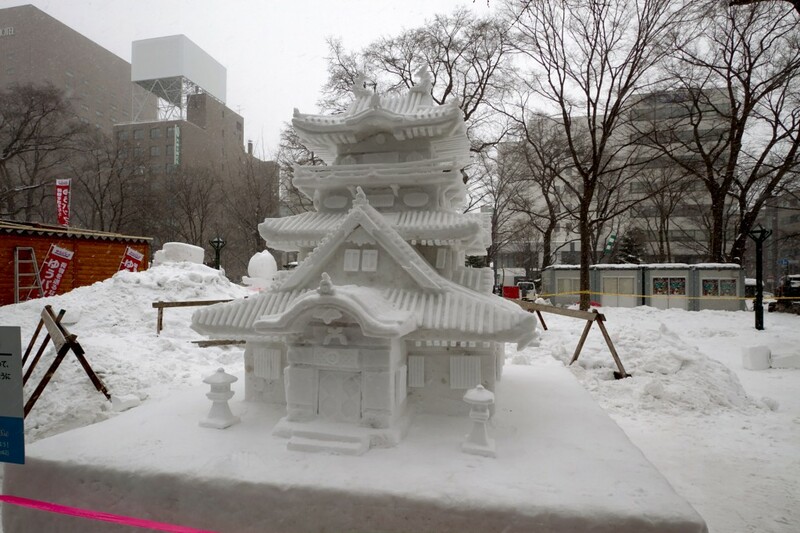 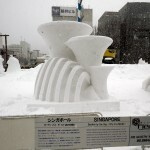 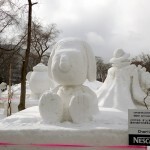 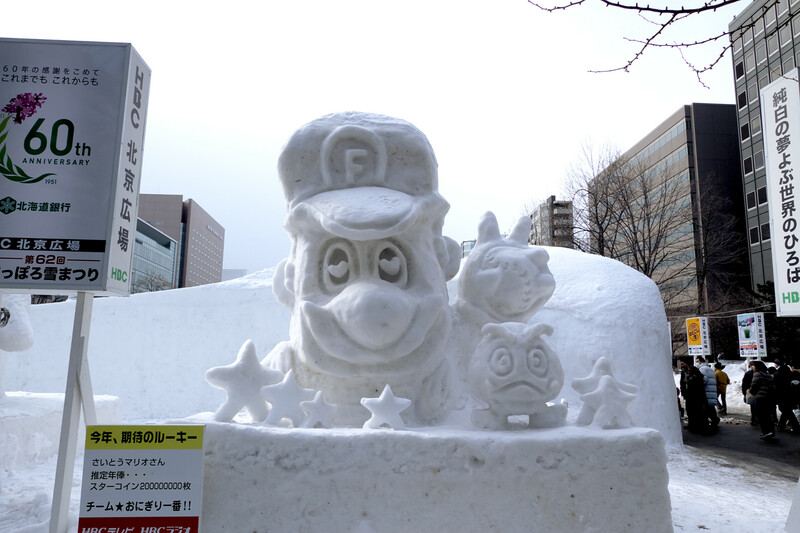 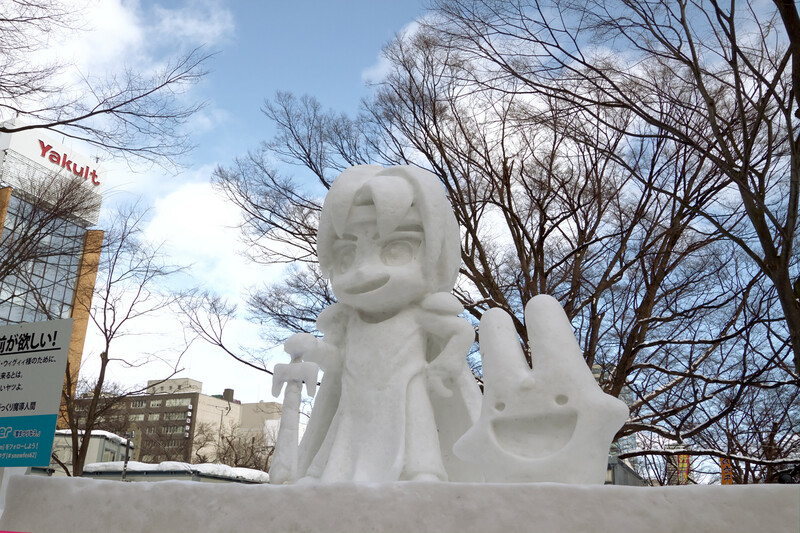 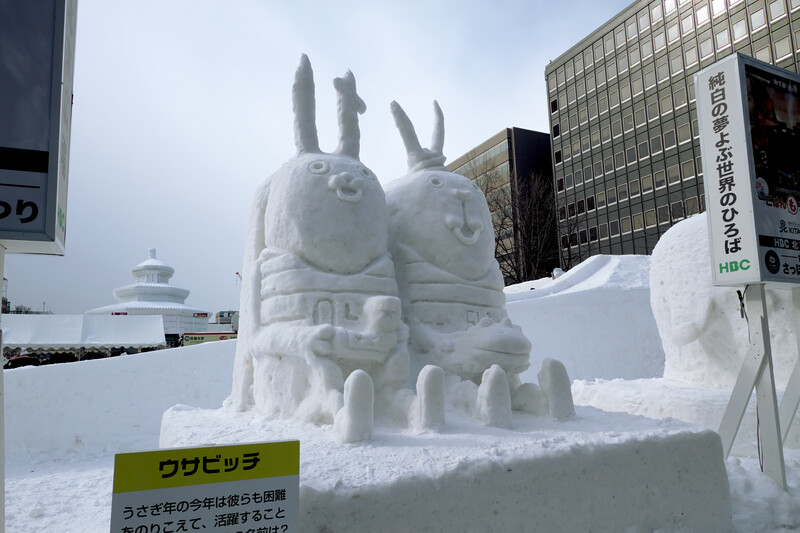 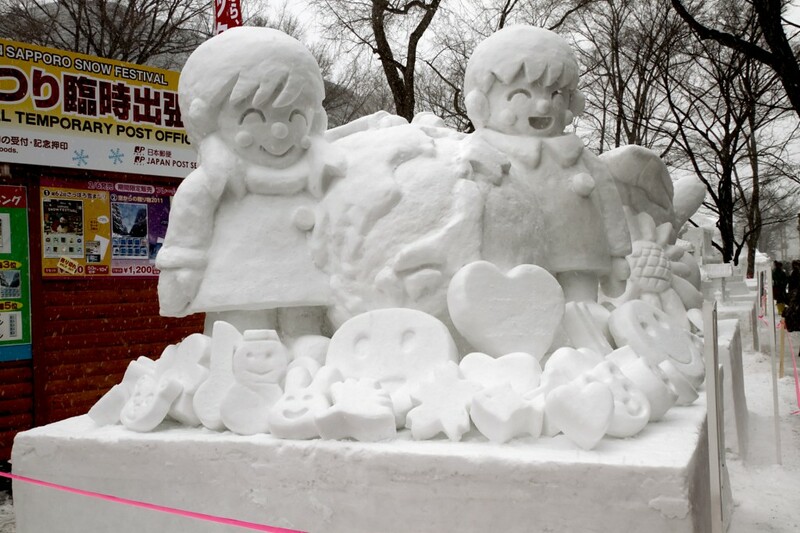 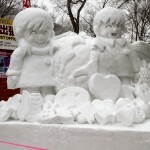 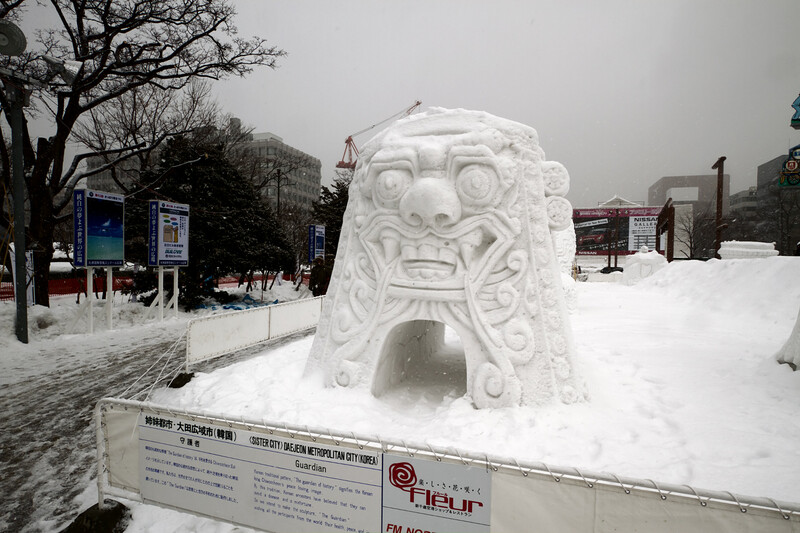 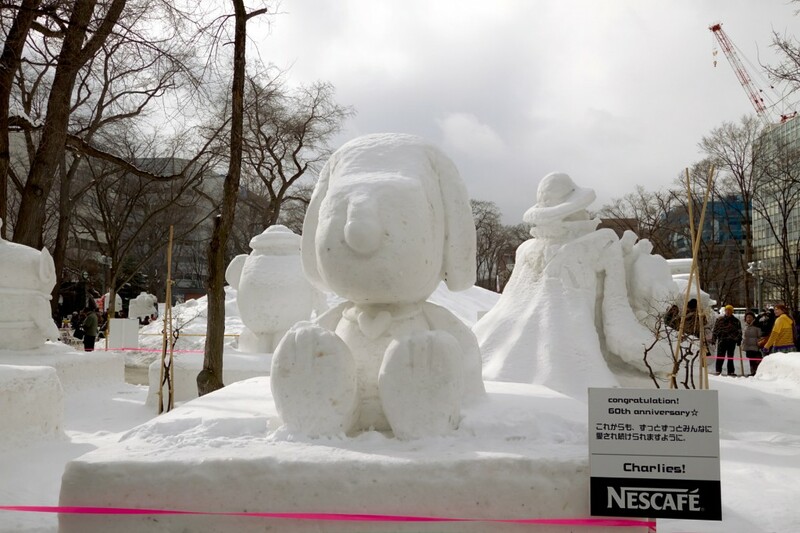 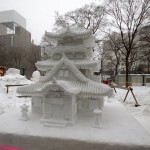 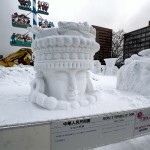 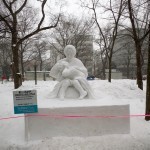 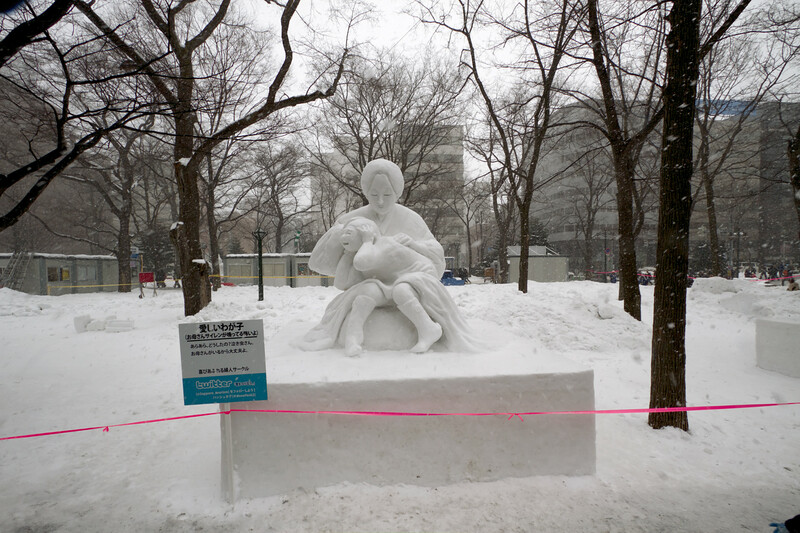 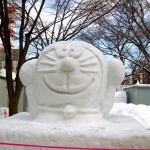 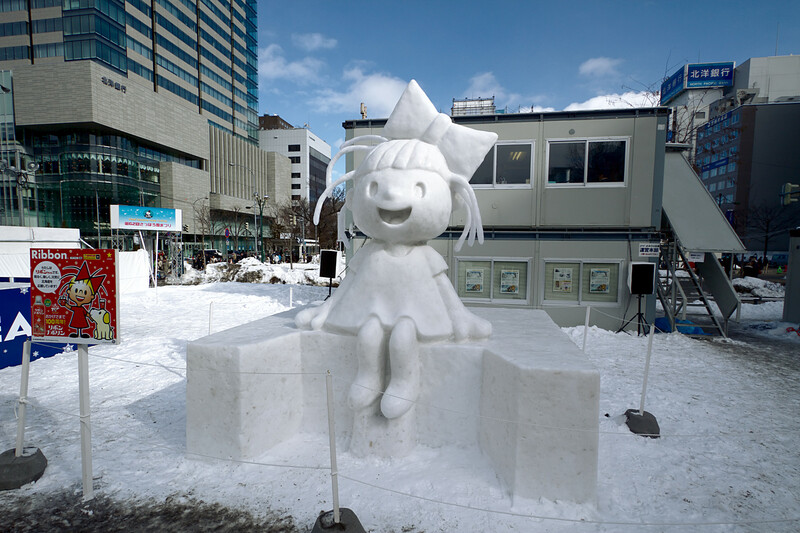 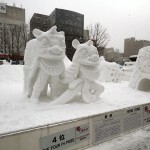 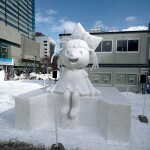 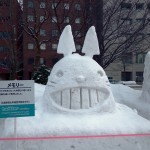 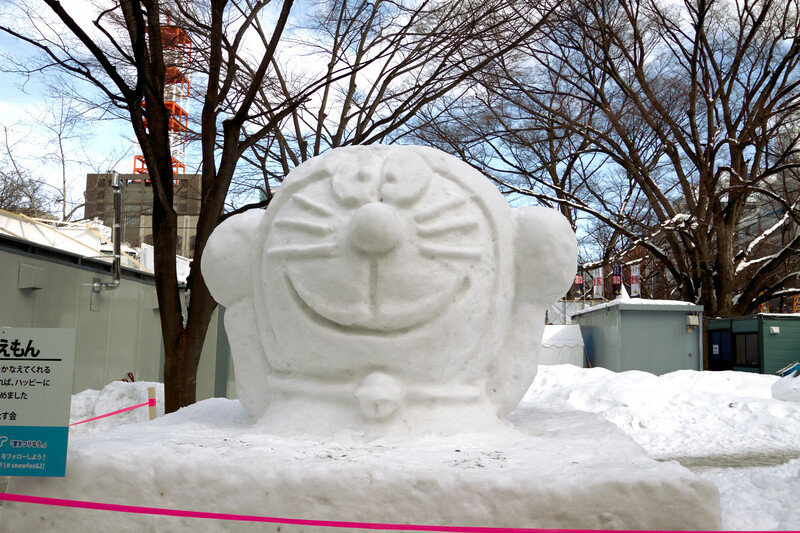 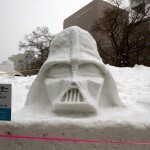 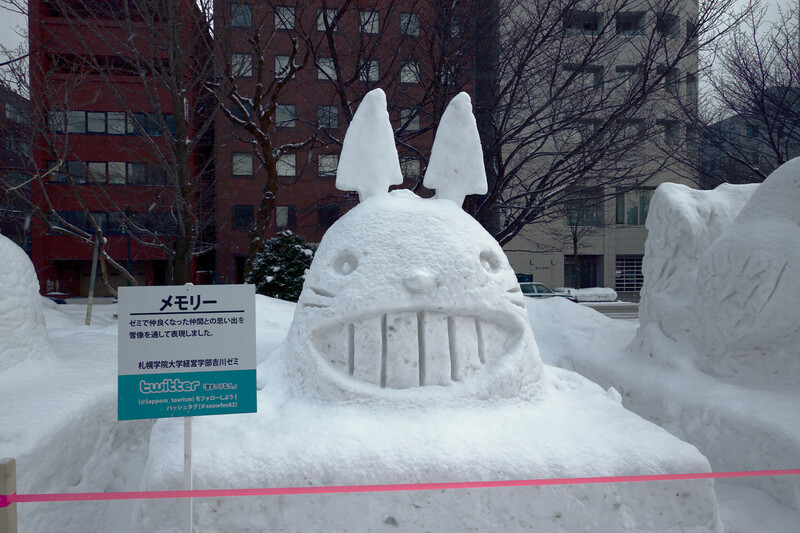 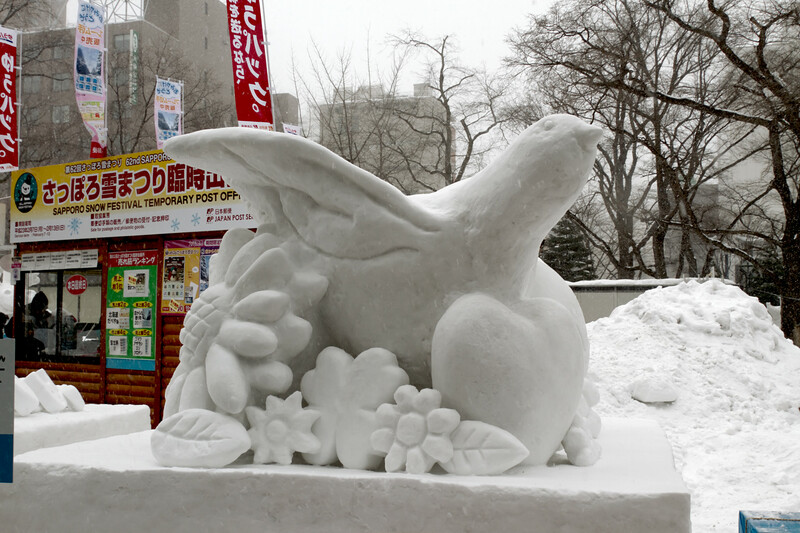 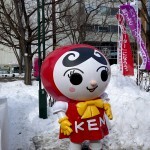 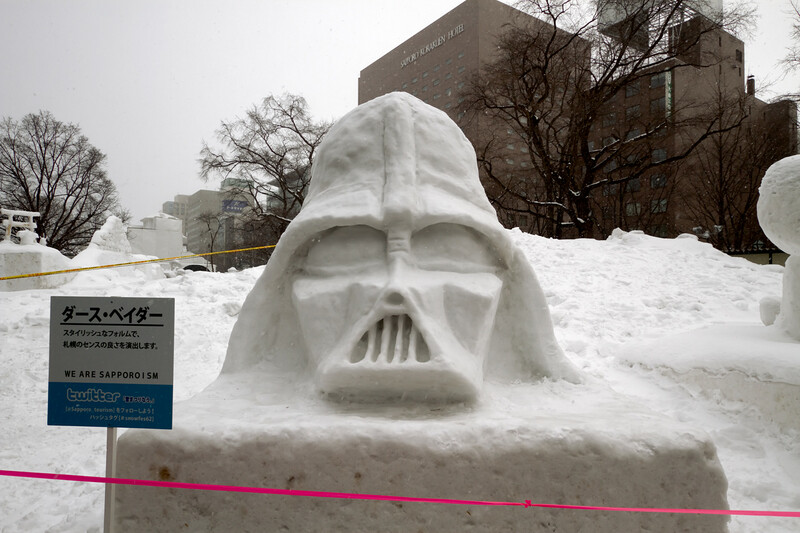 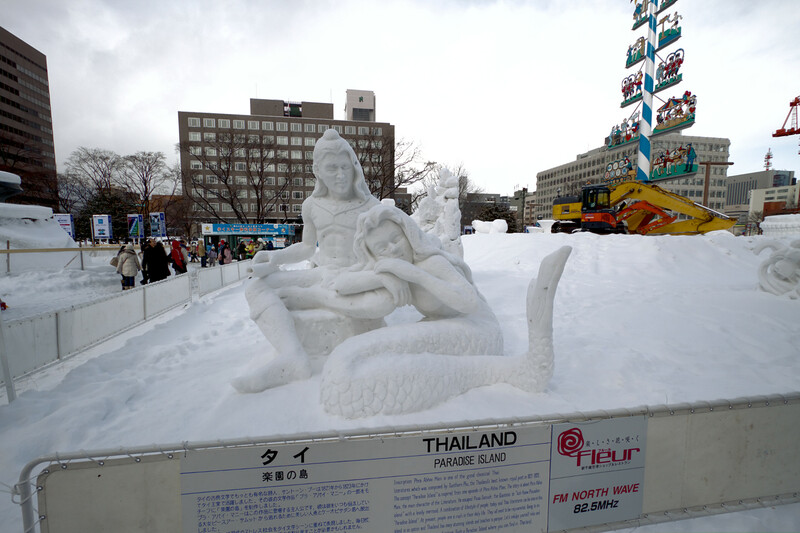 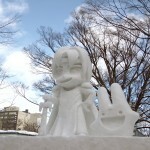 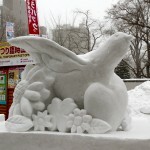 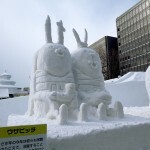 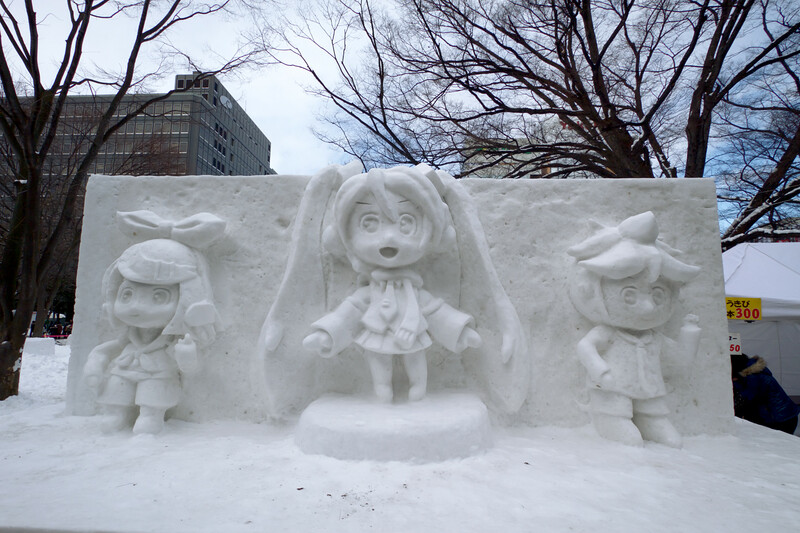 One part of the snow festival is a competition where teams of people from various places around the world build snow sculptures. 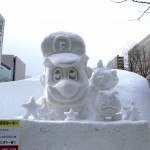 I’m sure they all looked amazing when they were fresh, but unfortunately some of them were ruined by the time we got there. 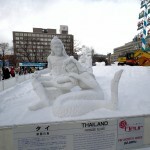 Namely the one from Portland, Oregon which is apparently a sister sity of Sapporo. 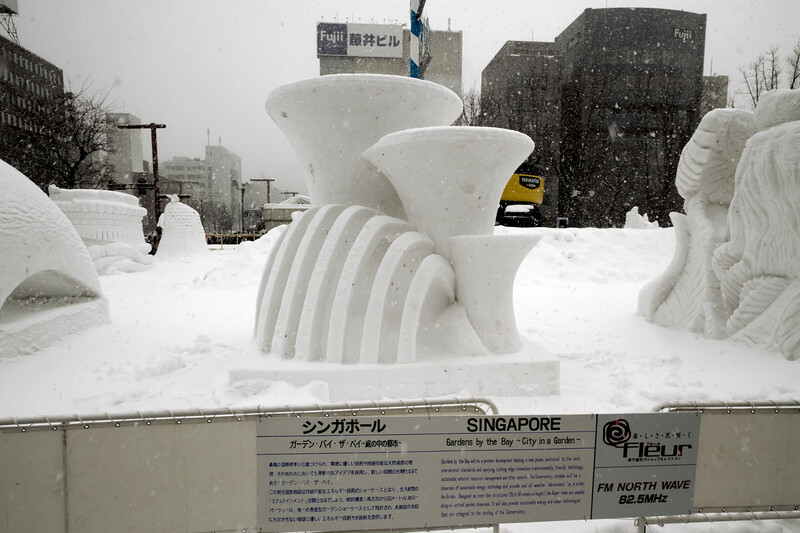 This is a picture of the entry from China, with the snow covered jumping salmon from Portland in the background. 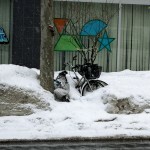 The snow sculptures weren’t the only things covered in snow; these bikes aren’t going anywhere until spring!